Sharks are iconic in the cultures, beliefs and traditions of Pacific people. Their sense of identity of place is reinforced through totems. From Kiribati, Solomon Islands to Fiji and across the Pacific, shark legends and tales make up the rich cultural fabric that is their heritage. There are tales of shark gods as rulers of the seas and guardians of networks of reefs, rescuers of the lost at sea, friend and protector – these sharks are said to come from humans, having relocated to the sea to serve and protect their brothers on the land. 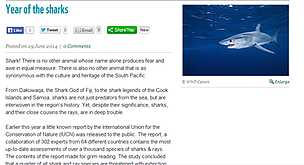 Legends they may be, they attest to the huge importance Pacific people have since ancient days placed on sharks. Sharks and their close relatives, the rays, are important as well for food security by maintaining healthy reef systems that people rely heavily on for their main source of protein and income. Important for cultural expression, food and livelihoods it is inconceivable therefore to allow a situation where Pacific islanders exist without sharks and rays. But pressures of overfishing have driven several species to extinction while some are on the verge of disappearing forever as reported by the IUCN Red List of Threatened and Endangered Species. The Shark Heritage Programme is inspired by a belief that it’s not too late to save these important species. We work with all Pacific Island countries to help them sustainably manage their shark and ray populations and move them away from being threatened towards sustainable levels. In order to achieve this we will engage governments and the fishing industries. 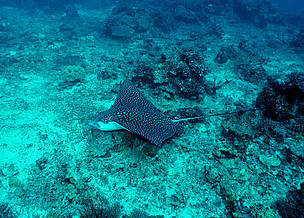 Sustainable shark and ray populations benefits both country economies and the people. As these species of wildlife are helped to thrive again they will also remain part of the cultural and social expression of future descendants of the Pacific. 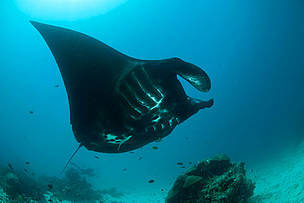 A quarter of the world's sharks and rays are threatened with extinction and overfishing is the main cause of the threat.